Chase Ink Plus 60K And Ink Cash 30K Limited Time Increased Signup Bonuses Return! For a limited time only, the Chase Ink Plus card is offering a 60K signup bonus for spending $5K within 3 months. 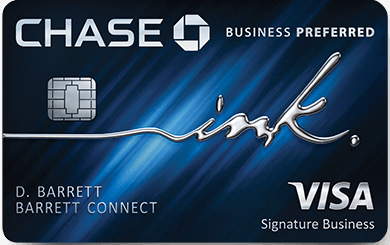 The Chase Ink Cash card is offering a 30K signup bonus for spending $3K within 3 months. The Ink Cash bonus is advertised as $300 cash back, but it actually comes in the form of 30,000 points. 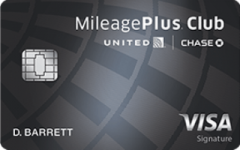 It’s not difficult at all to get a value of 1.75 cents per point when using Chase Ultimate Rewards points for travel by transferring them into airline miles or hotel points. That would make the Ink Plus signup bonus worth over $1,000 and the Ink Cash signup bonus worth over $500. You’ll also earn up to 25,000 points for the base spending depending on whether you spend in 1, 2, or 5 point per dollar categories. So after spending $5,000 on the Ink Plus card you’ll have between 65,000-85,000 Ultimate Rewards points at your disposal. You can even buy $300 Visa gift cards from Staples from the comfort of your home, which will earn 5 points per dollar and help meet the spending threshold. 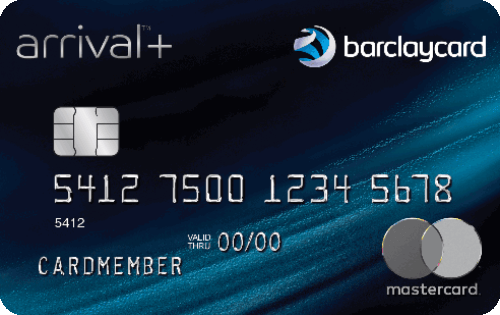 The Ink Cash card has no annual fee but carries a 3% foreign exchange fee when used outside of the US. 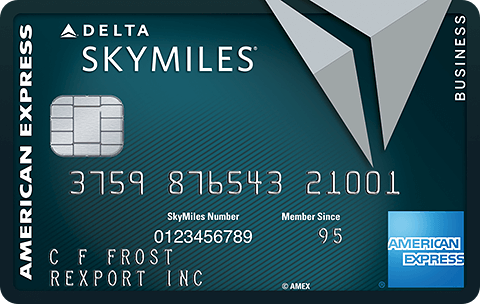 If you only have the Ink Cash card you can’t transfer your points into miles, but if you or a spouse have a Sapphire Preferred or Ink Plus card than all of your points will be transferable into miles. 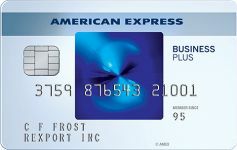 The Ink Plus card has a $95 annual fee. There are no foreign exchange fees on the Ink Plus card. Insurance coverage on car rentals in every country outside of the US is primary on leisure or business rentals. Within the US coverage is primary for business rentals and secondary on leisure rentals. Chase has been making it more difficult to get approved for their Ultimate Rewards cards if you’ve received more than 5 cards in the past 24 months, though people with at least $10K in a Chase checking account have reported success by having a Chase banker go to bat for them with a special reconsideration form. The Ink cards are business cards. But you may be already running a business that qualifies for a business card and there are several huge advantages that business cards have over consumer cards as you can read here. 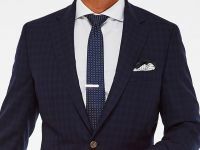 For example if your name is Joe Smith and you sell items online, or if you have any other side business and want a credit card to better keep track of business expenditures you can just open a business credit card for “Joe Smith Sole Proprietorship” as the business name. You don’t need to file any messy government paperwork to be allowed to do that. Just be sure to select “Sole Proprietorship” as the business type and just use your social security number in the Tax Identification Number field as well as in the social security number field. A great thing about these business cards is that they don’t report your spending on your personal credit report. On personal cards if you spend money on your card your credit score will be hurt even if you pay your bill on time. A whopping 30% of your credit score is based on credit utilization. You can pay off your card before your statement is generated to avoid that, but that takes effort and laying out money well before you have to. Additionally it’s good to have the statement close with a few dollars to show the card is active and being paid every month. On a business card it’s just not reported, so you can wait until the money is due without it having a negative effect on your score. Plus if you close a business card it won’t ever have an effect on your score. The Ink Cash card offers 0% APR on purchases and balance transfers for 12 months. While carrying balances on consumer cards can have a very harmful effect on your credit score, because the Ink Cash card is a business card, those balances won’t hurt your credit score. 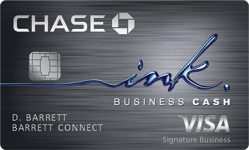 Ink cards can be registered for Visa Savings Edge. With that program you earn cash back on top of points. For example you’ll earn 1% cash back at Chevron, and Texaco, 2% cash back at TigerDirect, 4% cash back at Alamo and National, 5% cash back at Lenovo and several hotel brands. Ink cards offer 5 points per dollar on internet/cable service and telecom purchases, so that’s a nice rebate when you purchase a new cell phone and off your cable bill. They also earn 5 points per dollar at office supply stores. There are hundreds of gift cards sold by office supply stores. 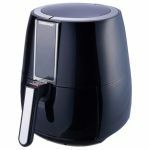 -Upgrading to an iPhone or Galaxy billed to your cell phone account? 5 points per dollar. -Buying gift cards for gas? 5 points per dollar plus you’ll pay the lower cash rates at the pump. -Buying gift cards for Amazon, eBay, Gap, Groupon, Kohl’s, Macy’s, Marshalls, Nordstrom, Southwest Airlines, StubHub, TJMaxx, etc? 5 points per dollar. The Ink Plus card caps those bonuses to $50K of purchases per year while the Ink Cash card caps those bonuses to $25K of purchases per year. The Ink Plus card also offers 2 points per dollar on gas and hotels while the Ink Cash card offers 2 points per dollar on gas and dining. Your local school or other charity will be more than happy to accept donations of Amazon gift cards for supplies or any other useful gift cards for chinese auctions, raffles, fundraisers, etc. They will give you a tax deductible receipt for the full face value-the price you paid for the gift cards. And at the same time you’ll earn 5 points per dollar. So while doing good you can still get a nice chunk of points and you’ll save on your taxes. Or you can use Visa gift cards for everyday spending thereby getting 5 points per dollar on everything you buy anywhere via the Visa gift cards. You can read how lucrative that can be in this post on where you should be using each of your cards. –United (Star Alliance) is still an excellent currency, even after their devaluation last year. They never charge fuel surcharges, have very flexible routing rules, they allow one-way awards for half the mileage, they have short-haul awards for 10,000 miles, they allow for a stopover and an open-jaw so that you can really maximize a single award ticket into several free trips, and they have dozens of partners to fly on, most of which can be booked on their website. –British Airways (OneWorld) is awesome for short-haul awards. Just 9,000 miles for a round-trip zone 1 or 15,000 miles for round-trip zone 2 short-haul award. The zone 3 award for 25,000 miles round-trip can also be a bargain, for example a flight between the west coast and any of the Hawaiian islands or between Boston and Ireland is just 25K miles round-trip with no fuel surcharges. Flights to Israel on Air Berlin are just 60,000 miles round-trip with no fuel surcharges. They allow one-way awards for half the mileage. There are no close-in or expedite fees. You can cancel an award for as little as $5.60. Infants are only charged 10% of the miles on international trips instead of 10% of the full fare like US carriers charge. Plus they don’t collect fuel surcharges on American within the western hemisphere, on Qantas from or within Australia, on Air Berlin, Aer Lingus, Alaska, or LAN and you can transfer points to Iberia to limit fuel surcharges there as well. You can read more in this post on everything you need to know about BA Avios. And you can see 103 places you can go to nonstop from NYC with Avios. –Korean (Skyteam) offers unbeatable first class availability (A380 First Class Trip Report here) and they also have true bargains on partner travel, just 30,000 miles to fly round-trip on Hawaiian or Alaska to Hawaii in coach or 60,000 miles in first. And it’s just 20,000 miles to fly to Alaska in coach or 40,000 miles in first. You can even get a free stopover on the way to or in Alaska! 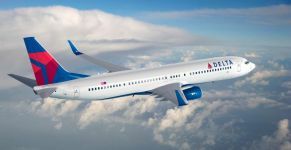 If you can find Delta saver availability you can fly to Hawaii round-trip for just 25,000 miles in coach or 45,000 miles in business. –Virgin Atlantic has some niche uses with awards on Delta. 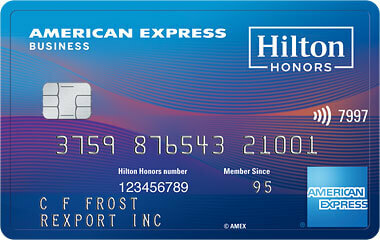 -You can also transfer points to Marriott, Ritz Carlton, Priority Club, and Amtrak. I’ve never been on an Amtrak in my life, but you can get some really nice bargains on Amtrak travel via their program. Amtrak transfers end on 12/07. The great thing about being able to transfer points into airlines or hotels are the incredible values you can attain. -A coach ticket to Hawaii can cost $1,000 and a first class ticket to Hawaii can cost $3,000 but you can use 25K or 45K miles for that same ticket. If you were using Capital One points you would need 100,000-300,000 points per ticket. -A last minute ticket or a ticket where you don’t stay for 3 nights from New York to Detroit costs $1,500 in coach but just 9,000 miles. That’s a value of 16.7 cents per mile. If you were using Capital One points you would need 150,000 points per ticket. -A first class ticket to Asia can cost $27,000 but you can use 135,000 miles for that same ticket, a value of 20 cents per mile. If you were using Capital One points you would need 2,700,000 points per ticket. 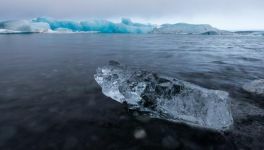 -A night at a Park Hyatt in Paris, Sydney, or the Maldives can run $1,500 with tax but you can use 30K points for that room, a value of 5 cents per point. Or you can use less points and get even better values with cash and points. If you were using Capital One points you would need 150,000 points per night. 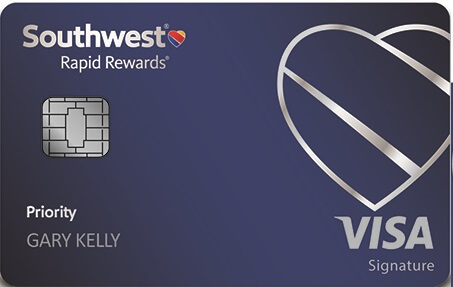 Other Chase cards you can apply for at the same time include the Chase British Airways (Up to 100K signup bonus for a limited time only), the Chase Freedom (which has no annual fee, gives 5 points per dollar in rotating categories, and 10% bonus points in 2015 if you have a Chase checking account), the Chase United Explorer (30K signup points plus another 5K points for adding a free additional user, and it gives free luggage, free primary car rental insurance including in the US and Israel, expanded saver and standard award ticket availability, priority boarding, and more), the Chase IHG (with 60K signup points and a free night every subsequent year upon renewal) and the Chase Marriott (with 50K signup points and a free night every subsequent year upon renewal), and the Chase Slate (with zero balance transfer fees, 0% APR on purchase and balance transfers for 18 months, and free FICO scores). 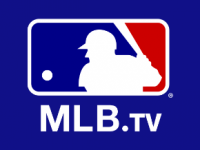 71 Comments On "Chase Ink Plus 60K And Ink Cash 30K Limited Time Increased Signup Bonuses Return!" Is balance transferring to Inc plus considered like a purchase in order to satisfy the $5K? Any way to avoid the $95 annual fee? No, but buying 5K in Visa cards from Staples or Office Max earns another 25K points and they can be liquidated via Bluebird/Serve/REDcard/money orders/etc. The Ink Cash card has no annual fee and still earns 5 points per dollar. I have an active Chase Business Bold Ink card – I’ve got it for a similar promo you’ve published 2 years ago. How can I get them to allow me another one to get this promo? I have an Ink Plus, Ink Bold, and Ink Cash for one business (and more for other businesses). They have not published an end date for this offer=Can end at any time. Can I get the bonus if I upgrade from INK to INK PLUS? And can I downgrade later to after I get the points? Only new applications get signup points, you don’t get points for upgrading. How do i get them to match todays offer? You can send an SM and ask. Dan you should mention that those who have 5 or more new cards in the last 24 months (with any bank) won’t be approved for any Chase cards that have Ultimate Reward points (including these Ink business card). I did mention it, read the post. Though it’s harder, not impossible. Where to u send SM from? My guess is this will be a tough offer to get matched. You can transfer Ultimate Rewards points between all Chase cards that you and your spouse has freely. is there somewhere where we can see the amount of miles of ultimate rewards and what we can get in terms of flights with united alliance? Dan you answered this above, but just confirming I can transfer UR points from my wife’s Freedom to my Ink plus correct? I already have 5 cards including business current with chase wit in 15 months. How should I go about? See if it will go threw normally? Then if not get my bank involved? Or go straight to bank? Does signing up under “sole” complicate things when filing taxes? Apply online, call reconsideration and make your case, HUCA, and if all else fails go into the bank and ask for a banker to fill out a special considerations form for you. No, this has nothing to do with taxes. Hey Dan thanks for all these great posts, should I apply for ink cash if I only had one credit card for six months so far? With chase wouldn’t that be two pulls? 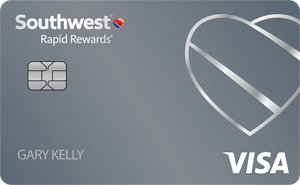 Dan – I signed up for the southwest premier card w/ 50,000 point offer about 6 months ago. Will this disqualify me from the 100,000 british airways offer? I’ve already been approved for the British Airways card. @Dan: EX won’t remove it, bc Chase Business and Chase Personal pulls are coded differently. I see you mentioned 100K for the BA, how can I get it? Can Chase points be transferred for Hilton Hotel stays? Quick qs – I have new business (8 months old), tried to get ink plus 2 months ago but was denied as they don’t have any company history (my business starwood reports to equifax & chase checks with experian). My personal credit is pretty good 792 or husband 801 – saw you wrote I can open business card w/o company tax id & just use my ss? Says I cannot apply if denied within 6 months but I had used my ss and company tax is – think I can reapply with just my ss? Also does it make a dif if I apply cc saying my name+sole proprietorship instead of my my real business name? Thanks! I have a chase ink card for 2 years now, can i sign up or this offer, with my current card active for the same business ? Going to be hard to be approved for 2 identical cards for the same business. It’s always YMMV, but it’s doable. Pulls show up right away, so it doesn’t matter. I’d do Chase first, as they’re more picky these days about too many pulls on your report. @Dan: i can do a 6bm and avoid any problems is that the best idea? Dan2– were you approved right away, or did you have to talk to reconsideration? Also, did you get 2 credit pulls from this? Is that only for the ink plus or also for ink cash? nyk to tlv??? pray tell. question if you have seveal personal business can you open them all under the same SS #? 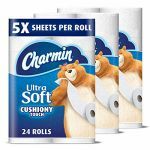 Offer reads: I understand that any new cardmember bonus offers for this product are not available to either current or previous cardmembers of this product who received a new cardmember bonus for this product in the last 24 months. I only want to sign up for one new card. Should I do the British Airways or the Chase ink? Any workaround to the 5/24 rule? Applied for the chase plus card and didn’t get approved on the spot. Anything that i can do to get approved? On the screen it told me to call them with a id number. Got an email saying that I’ll get an answer within 30 days (which means a probably no). @meyer: usually when i get that reference number to call back, they just want to verify its you. 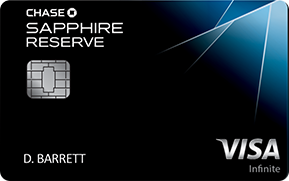 I currently have a chase sapphire preferred just for myself which i got about 2 years ago (100k points). Besides that, I have two other credit cards that I’ve had for a long time (bank of america cash back, and amex blue). 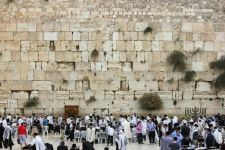 My wife and I want to plan a trip to Israel for 6 ppl in total, and am looking for some guidance. Should i apply for the Chase Ink Plus and Chase Ink Cash for me and my wife to start? Should i be concerned about credit rating (800+ currently) but I might want to refi later this year. Thanks for the help!! I am trying to fill out the application online for Chase Ink Plus, however, in the name section they give you only 26 characters to enter. Name + Sole Proprietorship does not fit. What do I do? IE. One was tossed out. Not ‘instantly’ approved. Letter arrived two weeks later wanting 2 years worth of business tax returns. If I am about to spend about 400K this year on a card (or cards), what would be the best card to get for that? hi I applied for the chase ink and they will notify me within 7-10 business days if I am approved, does it help that I have a checking chase active acct with 20,000 dollars in it??? I am scared they didn’t approve me, since I got many new cc card from all types of banks in last 12 months. hi dan, my name + “sole proprietorship” is too long for the space required as the business name. what do i do? Try leaving out sole or your first name. Can you come to Chicago for a seminar please?? ?